Prehistory is often neglected in history, because this period takes place before the beginning of history. We do not always know how people lived, what traditions and customs they had, what they believe or why. But many things we know, thanks to the objects and other debris they left behind. The Prehistoric Weekend shows how we think people lived. If you are reading this now, you can find something that they had not even figured in Prehistory: reading and writing. We assume that they have communicated with each other through language, but how exactly did we do not know. But the people when all traces left from which we can infer how they built houses, cultivated the land, what they ate and what they wore. During this weekend you can see how it was going to it, thousands of years ago! During the prehistoric weekend there are several demonstrations of our Archeostaff and international guests. So you can see how a tattoo is manually made. One used nothing more than a handle of deer antler, a needle and ink. In the Stone Age animals are skinned. Demonstrations are given on tanneries. There can be made into beautiful clothes again. In the first farmers area, you can try home made bread yourself. Also earthenware pots are made, and what about flint tools, how were those actually made? In the Bronze Age, they know all about metal processing; the furnace is lit in order to be able to cast the bronze. 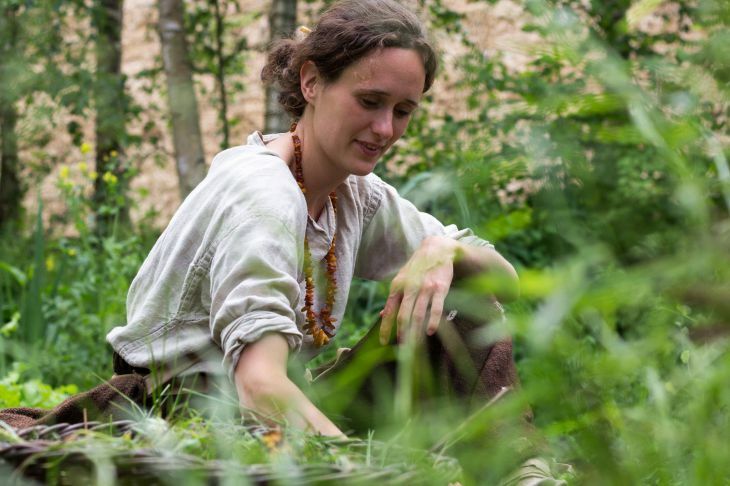 In the Iron Age, you can try to make a firestrike and make fire with flint, that's tricky! Also, here, the wool is dyed in authentic way. Everywhere our prehistoric ancestors are busy preparing food and prepare for the long, cold winter. They could use your help!